Alpine Getaways offers a wide range of lodging in Crested Butte, Colorado with our premium vacation rentals. Each rental property offers guests the best amenities that include fireplaces, private hot tubs, and more. We have lodging in Crested Butte for all types of groups with our variety of sizes and styles. No matter which of our rentals you choose, you will be met with all the comforts of home! 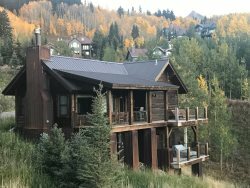 Check out all of our rentals to choose the best lodging in Crested Butte for your next vacation! Browse and book online or call us at 970-349-0539 for any questions you might have about our available vacation homes in this beautiful mountain town.